"A look at gardens that are living works of art, developed by creative women all around New Zealand"--Publisher information. 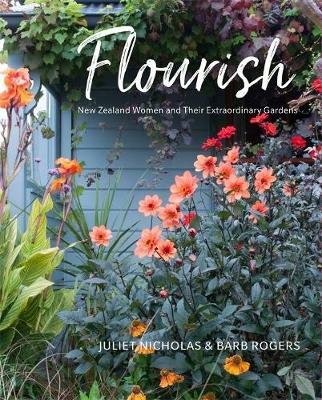 This book celebrates the endeavours and achievements of women gardeners who are responsible for some of the most-admired gardens within New Zealand. Often starting as a home-based hobby, fitting around child care and other domestic tasks, the gardens developed by the women featured in this book have evolved into living works of art. Scattered from the far north to Stewart Island, these gardens have a few things in common. Each one has been developed by a woman responding to her own landscape and locale with energy and verve. Often an outlet for a creative urge, the gardens portray a wide cross-section of styles. The stories of the gardeners also share common bonds - hard work and a passion for the landscape - but also stories of combating isolation, loss and joining a sisterhood of gardeners. Some gardens are well known and justly celebrated both here and overseas- Bev McConnell's Ayrlies in Auckland, and Margaret Barker's garden at Larnach Castle in Dunedin. Others are undiscovered gardens worthy of wider attention. Gracious country rose gardens, inner city courtyards and edible gardens all feature. Juliet Nicholas was given a camera by her parents at the age of seven, sparking a lifelong fascination with photography. Over the past 30 years her photography has featured regularly in New Zealand's leading lifestyle magazines and she has worked on several books. When she is not working, Juliet can be found tending her garden or escaping to the wilderness of Stewart Island, where she delights in tramping, fishing and enjoying the bounty of the great outdoors. Barb Rogers From newshound to book author, via tutoring, editing magazines, and writing or editing stories, it's taken Barb a few decades to work out what she wants to do - concentrate on writing about gardens and gardeners. A frustrated part-time gardener, she chronicles other people's green-fingered accomplishments while the weeds mount in her own garden.